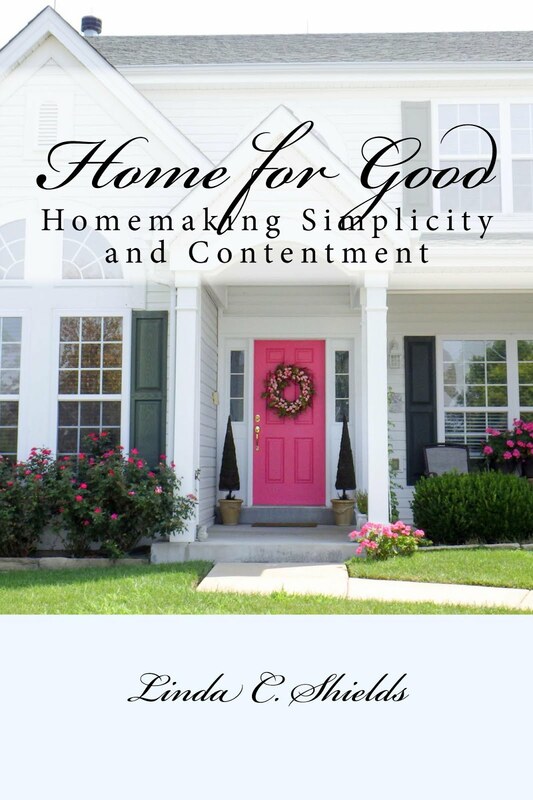 I have decided to take the inspiration from The Prudent Homemaker blog (which I love! ), and post my weekly review of accomplishments and my goals for the new week. I have done this for a long time personally, but I think doing this publicly on my blog will help me be more accountable, as well as hopefully encourage others to do that type of thing as well. As a student of the Bible, I of course believe in one day accounting to my Creator for what I have done with the time that He has given me. Why not take that charge seriously enough to do this for myself on a daily and weekly basis, in the here and now? It might possibly help me to be a better steward of all the time/money/opportunities/gifts, etc. that He has given me. If so, that will be well worth the effort. To be accountable I need to be honest not only about my accomplishments, but also about areas where I missed the mark or could improve. I hope you, Dear Reader, will help me to do this by not only leaving comments about how I have done, but about your accomplishments and goals as well. Most of all, please accept my heartfelt "Thank You!" for all of the kind condolences, thoughts and prayers you all have sent to me and my family here these past few weeks since the loss of our beloved son, Scot. I hate to think how our family could ever have survived these difficult days without the loving support of all of our friends, like you. I have not tried to respond to your caring comments one by one, but I want you to know that your words have brought hope and healing, and most of all, the knowledge that we are not abandoned, but are indeed very loved. How we appreciate your efforts in that regard! I wish I could hug each and every one of you, whether you left a note or not, who has sent up a prayer on our behalf. We still need those prayers each day, but with all the grace and love given to us we are definitely progressing in our healing and ability to return to "normal" life, however changed. It occurred to me that in such a time of grief there are very few choices. One may wish to go on to heaven to be with the person who has left, but that is not a choice. As St. Paul said, "To live is Christ, and to die is gain." Even though he wished to go be with the Lord, Paul had to stay until God decided his mission was accomplished, in spite of many trials. The timing of our earthly departure is not our choice, but God's. We are literally stuck here on this earth, which is an alien land to those of us who have Heaven in our hearts, like it or not. I often feel like a stranger in this earth, it is SO not what God intended it to be in so many ways. But the only choice left to us is whether to allow our grief to triumph over us, or to carry on in faith that God still has a purpose for us to accomplish for His purposes--however small and insignificant that may seem to us. If everyone who wishes to go enjoy the bliss of eternal life with Him were allowed to depart at our own discretion, who then would be left here to bring a touch of love, a word of kindness, or an act of bravery? Who else would speak words of truth, offer tokens of concern, or give gifts of grace? We all, each and every one, are needed to make this earthly testing ground a better place--even if only speaking a kind word to one person--as you have done for us. So, thank you for that. I will attempt to do the same. One way I have always dealt with the world being askew is by trying to put my own nest in order. If I am upset, angry, or out of sorts you can count on me taking it out on the dirt in the house, or by rearranging the furniture, or redecorating, or something very "busy". As my energy is returning I find myself totally off my normal routine due to being distracted by de-cluttering and re-organizing anything in the house that draws my attention. Thus I have been very non-productive in my normal areas while, on the other hand, cleaning out places that have suddenly gotten on my nerves. I have cleaned and reorganized my kitchen cutlery. I shipped some of the excess knives plus some other kitchen items to someone moving into a new apartment. I bought a new magnetic knife holder (at Sur La Table) and Sweetface mounted it to the side of our kitchen cabinet, over the sink, for easy retrieval of my favorite knives. Why did I not do this long ago? It is so convenient! ﻿ And for some reason--call me crazy--I finally decided to attack and de-clutter my years-long collection of magazines. This is a huge task, given the extent of my out of control hoarding of much-lived arts/crafts/decorating/quilting/sewing/jewelry making, and more, magazines. It is embarrassing to admit what an absolute hoarder of such expensive frivolities I have become. However, I must say, I do Luv-Luv-Luv them, and while going through each and every one of them I am trying to eliminate all but the ones I truly believe I will actually USE in the future. No doubt MANY will be staying right here. Here is a "Before" photo of the magazines and books JUST in my studio (there are yet MORE downstairs), and I cannot tell you how long it will be until I can post an "After" photo. Soon I hope. I also finally brought out my summer decorations of seashells. It is good to change the scenery in your home now and then, and I have been collecting these shells from garage sales and thrift shops for several years now. Who could create such beauty but God himself? Each perfectly formed shape reminds me of His infinite artistry. I went in for my annual routine check-up. I only did this to meet, and get on the records of, my new primary care doctor because my terrific doctor of the past fifteen years or so had the nerve to quit and go serve those who need him more than I do in the Congo. (This is one very real danger of having a Christian physician.) So good for them, but that left me forced to do what most nurses hate doing most, which is going to the doctor. Thankfully, I left with a good bill of health but two very sore arms where I was coerced into getting inoculations against Pneumonia and Tetanus. I also have orders to get an immunization against Shingles very soon. You can tell when you are getting old by when your doctor insists on you getting such things. However, I have a friend who recently came down with a bad case of shingles, and I am absolutely certain that I do not wish to go through what she has with that. And, having had double pneumonia and double pleurisy at the same time once in the past, I gladly accepted the immunization against that as well. In addition to giving away some of my over-abundance of kitchen knives, etc., I also gave away a perfectly good computer monitor which we did not need to the man who faithfully mows our lawn every week, and who has become almost like a member of the family to many of us in this neighborhood. I have had to do some of the things one must do post-funeral regarding the estate of a family member who passes away intestate. Please may I remind you to get a Will? Better yet, get a Trust? Make life easier on those you leave behind, because life may be shorter than you think. Sweetface and I have been encouraged by our 16 year old granddaughter, Gretchen, to eat more healthy foods. So I have been better about it, since the peaches are now ripe and that provides the perfect excuse to gorge myself on my favorite fruit. And I really have been doing better at making healthier meals for Sweetface and me. However, I must admit that chocolate has been my BFF this week. I repaired the hem in one old but favorite pair of Capri pants. I will wear them until they are threadbare if possible. I kept the air conditioning off and the windows open most of this entire last week due to unseasonably low temperatures and humidity--what a blessing in July! We have spent hours every day on the back porch just luxuriating in the coolness. I only listed 18 items on Ebay this week, but I considered that an accomplishment in itself due to my lack of enthusiasm about doing any real work lately. As always, my Ebay income goes right to help pre-pay our mortgage. We built this house new eight years ago, at the peak of home prices, and now are working our way out of debt as quickly as possible. Thankfully we have been blessed with the opportunities to keep adding to those pre-payments in many ways, bit by bit. It all adds up to huge savings in the end, even with the advent of current low mortgage rates. I had another ETSY sale this week of a bracelet I made. That always makes me feel validated in my ability to create something that someone thinks is beautiful, besides just myself. However, then I splurged on buying something else, entirely different, from another ETSY seller. I will show you that after it arrives. I haven't felt very creative, but I did make one small "frame" coin purse. The metal frame came from the craft store (with 40% off coupon), the fabric from my stash, and the pattern from You Tube. Check it out; you can find many different (and free) purse patterns there. Wow, that's awesome, Kimberly. I would love to be up to 1,000 listings. And, yes, you got it right about selling my old books and magazines--I've already listed 17 quilting books on Amazon, and I've started taking photos of other books and mags. :-) Waste not; want not, as my Mom always said. Love your shells...WOW! I once could've challenged you for who had more mags, but that was before we moved here...I tossed..some in recycling and some to the Library after my coworkers had a turn to see who wanted what...hahaha. I need to looooook through the magazines you are moving on and see if there are any I have not seen or need. Did I say need, oops, would like....as you know I am a magazine hoarder. I so enjoy the magazines during the dark, dreary, gray winter days...they keep the creativity alive and the gardening ones are a breath of Spring. I am looking for a beach house for both of us....yea, could it be, neighbors at the beach? Walks on the beach collecting shells together. I just wanted to say thank you for talking about "So much to be done..." I didn't know it existed. I was able to find a used copy and am looking forward to learning some history on these women, who I admit never thought about, but your post really had me thinking that all I ever heard of was the mans struggle during those times. Thank you! Behind every good man is a good (and tired) woman. :-) Honestly, it is sobering to realize the hardships these wives and mothers went through to survive such arduous challenges. I know you will love the book; please let me know when you have read it what you think. Good for you on finishing up old projects; I saw your blog post about your quilt, which will be a great gift. Yes, as a retired nurse I, too, struggle with just eating a healthy, natural foods diet. (Ice cream is so tempting!) Sweetface and I have started walking with another couple in the neighborhood in the evenings--makes it harder to shirk off if you know someone is waiting for you. Keep us updated on your finishing U.F.O. projects, Penpen!